Scenic Landscaping was chosen as a finalist in the Westchester Magazine Best of Home Design Awards for the 2016 season. Westchester Home proudly celebrated Westchester’s best interior designers, architects, and building professionals on April 7th at the Emelin Theatre in Mamaroneck, NY. The finalists in ten categories came to celebrate being chosen with their fellow finalists, the judges, and their coworkers and family. Categories included best kitchen, best use of color, best use of a small space, best living space and best landscape design among many others. All the categories were in beautifying a home, honoring the talented designers and architects on the best of their best. 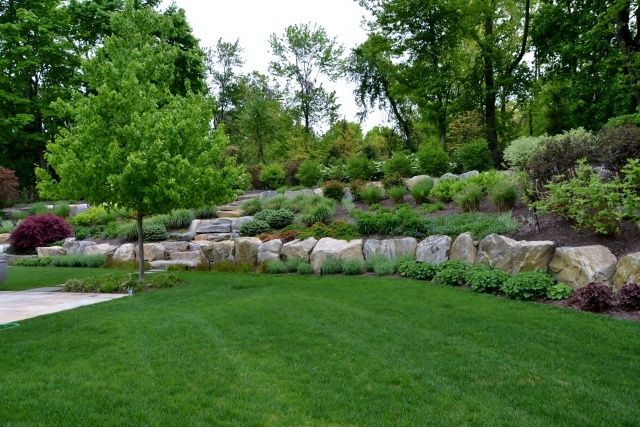 Landscape Design was a new category to the Westchester Design Awards, and everyone there was excited to have it included, understand that a well landscape property increases property value and the level of appreciation and enjoyment for the homeowner too. On the night of the award show, Scenic Landscaping was announced as the winner in the Best Landscape Design Category for our award winning landscape design. We were very honored to have won and to have made a name for ourselves over the other side of the Tappan Zee Bridge. This award was for our work on a residential client’s property in Pleasantville, NY. We were originally hired as landscape architects for this job and then were brought on to build it. 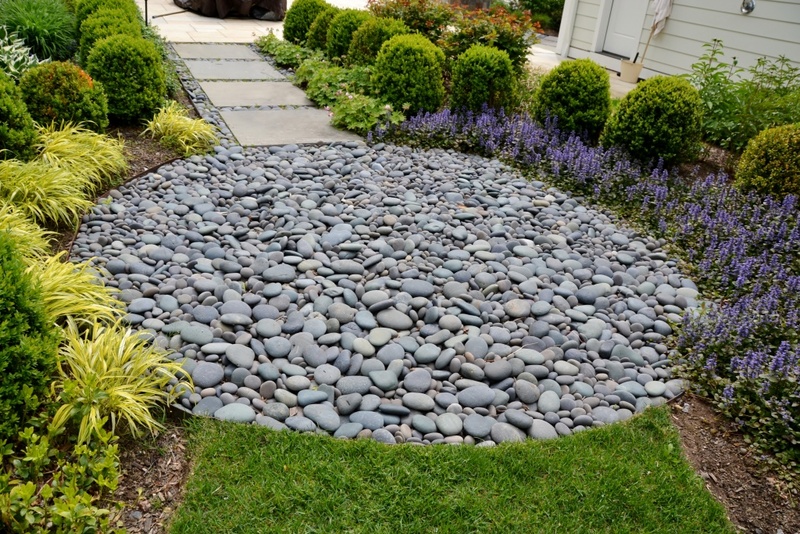 We also project managed with the builder to lay out all the hardscape and we worked with the builder to provide adequate drainage for the property. We were able to facilitate the erosion control for the property by providing landscape, channel drains, planted a slope with native with ornamental grasses, shrubs and trees along hillsides. We also planted wet tolerant perennials and grasses for troubled areas which over the years have shown effectiveness. We provided adequate screening for the property with mixed evergreens, native shrubs and also ornamental grasses. They helped to keep the deer away from coming into the property. We have maintained this property for several years to ensure the overall well-being of the property; we also enhance the property with annuals, urns and seasonal displays. The clients love walking out their terrace to see the continual changing of seasons and gardens. After first doubting some of our ideas they have now realized the benefits of a low maintenance mass planted garden. It is a high water table, the first pool that was constructed had to be demolished due to the water pressure. As we carved into a mountain, we also strategized with the builder to retain the fill with very large slab boulders dug into the earth and we also created terracing steps that helped with controlling the water issue. We also designed an upper channel drain system that alleviated pressure on the walls and for the new pool. Scenic takes a lot of pride in designing, installing and maintaining this beautiful property.